Those who either thought that Hillary Clinton could easily beat him, or that there was no chance of Donald Trump winning the Republican nomination, received some information to counter such beliefs in the latest CNN poll. Despite all the reports that Trump’s campaign would go on the decline, such as after his attacks on John McCain’s military service or after the Republican debate, Trump continues to lead the GOP field. Even worse, he is now only six points behind Hillary Clinton in the latest CNN poll. While I am not predicting that Trump will win either the nomination or general election, neither of these possibilities looks impossible anymore. 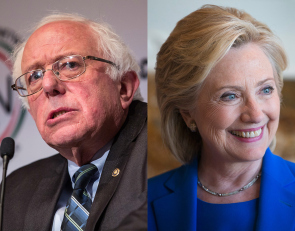 Hillary Clinton’s advantage against Bernie Sanders among Democratic voters continues to evaporate, according to the latest CNN/ORC national poll released Wednesday morning. And in a general election matchup with Donald Trump, who has led GOP polling for the last month, Clinton leads by just six points. Among 358 registered voters who identified as Democrats or leaning Democratic, 47 percent said they would vote for Clinton in a primary, while Sanders picked up 29 percent. Vice President Joe Biden, who has not made his intentions known about a run, grabbed 14 percent. Former Maryland Gov. Martin O’Malley received 2 percent, and former Virginia Sen. Jim Webb earned 1 percent. In the same poll last month, Clinton picked up 56 percent to Sanders’ 19 percent, another indication that the “drip, drip, drip” of the email scandal is taking a toll on her presidential campaign. Sanders is generating considerable enthusiasm and support independent of Clinton’s failings, but Clinton is certainly helping in the crumbling of her campaign. There are recent headlines such as Clinton pulls plug on testy presser over server questions, Hillary Clinton gets testy when pressed on email, Allies fault Hillary Clinton’s response on emails and Some Hillary Clinton supporters in South Carolina are starting to get nervous. After watching Hillary Clinton’s testy news conference yesterday over her emails and server, here is this stark reality for the Clinton campaign: This issue isn’t going away — at least for a couple of more months (when Clinton testifies before the Benghazi committee in October). And there’s just no other way to look at this story but to conclude she has done it to herself. She tried to conflate the private server issue a bit, claiming that we’d have the same questions for her regarding classified information if her emails were on a state.gov server or her own. But that ignores a few facts, including: the existence of the private server only came to light via congressional investigation and the fact that she doesn’t yet have a good explanation of why she decided to have a private server in the first place. Convenience is a tough one for the public to buy, given that the private server conveniently made FOIA requests and Congressional oversight of her email nearly impossible. Hillary Clinton gave an odd — and factually inaccurate — account of how the controversy over her email habits as secretary of State mushroomed into a public spectacle. Clinton chalked it up to her pride in her work at the State Department and her desire for government transparency. “[I]f I had not asked for my emails all to be made public, none of this would have been in the public arena,” she said during an Aug. 17 radio interview in Iowa. See the full article, as well as to those linked to above, for the full details. There have been far too many lies from Clinton to address them again here, but we can be certain we will be hearing about them constantly during the general election campaign should the Democratic Party be so foolish as to give Clinton the nomination.